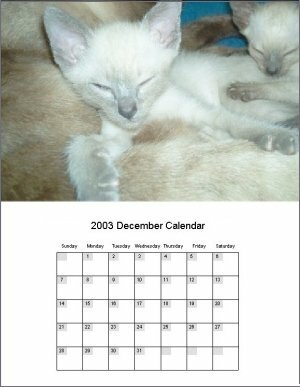 Description: CALENDAR Software - Calendar Builder software program - print your own custom calendars. Easy to use! This program is designed to be used by regular people - yet the outcome is quite spectacular! Choose a style that suits you. Add Graphics. Add your own graphics and clipart. Choose Fonts. Use any font, color, and header style desired. Description: Free satellite map using the free version of earth viewer.This free and easy to use earth viewer enables you to save or print high resolution satellite map of any part of the earth.You just type the address or location in the searh box and youll fly or zoom from sky to the street level.The perfect free software for locating free satellite maps in 3d. Description: Google Satellite Maps is a free tool from Google which offers a satellite image service worldwide.These are accompanied by a street service, a route planner and information about business in many countries.In this way we can travel the world from satellite view or in birds eye.The level of detail is different depending on where we find ourselves.Major cities have a very good level of detail. Description: The world?s fastest growing virtual tour business, has added satellite aerial views of real estate locations to their list of virtual tour features.We are very excited to have added this new technology to our already feature-rich virtual tours. Description: If you want simple, no-nonsense directions, then MapQuest might be the best site for you. The website is very user-friendly and easy to use. On the other hand, the maps Google create can be easy as well, but there are many options for tinkering and having fun as well. You can create your own one, browse other people's maps, change your driving direction route and take a virtual sightseeing tour in a faraway place, even Mars or the Moon! Description: Live Satellite Maps or Google maps is a web server mapping applications.Provides scrolling map images and satellite photos around the earth and even the route between different places.Since 6 October 2005, live satellite Maps is part of local Google.Google live satellite Map provides the ability to zoom in or zoom out to show the map.The user can control the map with your mouse or the arrow keys to move to the desired places. Description: Learn Travel Guide (LTG) Paris - city guide of Paris, it contains city guide (Guide-Paris) with maps and illustrations; phrase-book (Phrasebook-French) with useful phrases to communicate in French; notes (Notes-Paris) is for writing impressions. Program works on mobile devices Windows Mobile 6, 5, WM-2003, Pocket PC.